The city of Noblesville has garnered plenty of national recognition in the past few years as a great place to live and raise a family. Recent accolades include a CNN Money ranking as one of the Top 10 Places for Affordable Housing, a CNN Money Best Places to Live in America and Family Circle magazine's designation as one of the 10 Best Towns in Which to Raise a Family! Acknowledging all that Noblesville has to offer, the Indiana Chamber of Commerce named it the 2008 Indiana Community of the Year! Noblesville's thriving downtown historical center is filled with unique retail shops, antique stores, and restaurants. Three city parks offer walking trails, picnic areas, tennis, volleyball and basketball courts, and wooded common areas. The Klipsch Music Center, a 6,000-seat outdoor amphitheater, hosts some of the hottest acts in the music industry during the summer months and the Hamilton Town Center features upscale shopping as well as an IMAX theater. Award-winning schools make Noblesville a great choice for families. 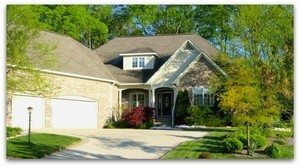 Noblesville is full of beautiful neighborhoods that offer something for buyers in every price range. You'll find charming turn-of-the-century bungalows in the historic downtown area, custom waterfront homes with spectacular views along Morse Reservoir and beautiful family homes in neighborhoods with terrific amenities. Listing courtesy of Red Oak Real Estate Group.